It turns out that satellites are not well suited to spotting aircraft. A little thought will reveal that this is not an entirely surprising conclusion. Aircraft are small and fast. They are not constrained to defined routes. To effectively find a given plane, mid-flight, without advanced notice, one would need to effectively image the entire globe, constantly, at high resolution. “[It is] extremely difficult to task a satellite for capturing an image over a flying object without knowing several hours in advance its exact location,” says Hervé Jeanjean, Earth Observation Expert at French space agency Centre National d’Etudes Spatiales (CNES). “And even though an image is taken over an aircraft, it is almost impossible to identify the type of aircraft. It would require an extremely powerful system with a huge constellation of several hundred of satellites able to refresh observations every 10 to 30 minutes and everywhere at a resolution below one meter.” That pairing of refresh rate and resolution simply does not exist in to- day’s satellite fleet. 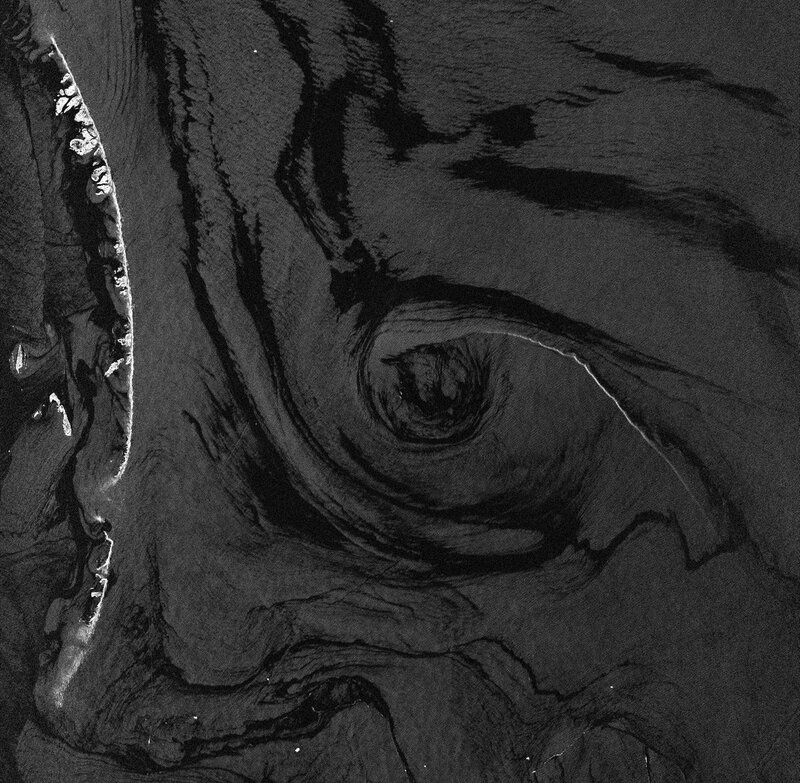 This TerraSAR-X image acquired on March 13, 2014 was provided under the International Charter Space and Major Disasters. It highlights the challenge of spotting debris in the ocean’s vast expanse. It’s somewhat easier to locate the wreckage of an aircraft than it is to find the aircraft whole and in flight. Assuming the absence of highly active seas, wreckage does not move too quickly. Fuel and oil that leak out of the aircraft can spread in a large slick that can be captured via radar. But as the disappearance of Malaysia Airlines Flight 370 on March 8, 2014 showed all too well, there remains the problem of where to look. Jeanjean highlights the same problem. Take, for example, a satellite such as Pléiades which collects sub-metric optical imagery. “Pléiades’ acquisition capacity is about 1 mil- lion km2/day/satellite,” he explains. When it comes to a vast ocean search, that barely scratches the surface. This was exactly the challenge that puzzled the International Charter Space and Major Disasters. The Charter is “a worldwide collaboration among space agencies to make satellite data available for the benefit of disaster management authorities during the response phase of an emergency,” explains China National Space Administration (CNSA)’s Executive Secretariat representative Chaohui Guo. Interested space agencies (primarily) are Charter Members who volunteer their space assets for use during an activation. Authorized Users, such as civilian disaster response agencies, activate the Charter when they need to call on Members for assistance. On March 11, 2014 the China Meteorological Administration activated the Charter with respect to the disappearance of MH370. From the very first, this was an unusual activation. “The Charter was activated more than 480 times in the past 14 years, but this is the first time that the Charter was activated for a missing aircraft,” says Guo. “Usually, the Charter covers major natural disasters such as floods, earthquakes, forest fires, landslides, etc.” Technological disasters are provided for in the Charter, but such activations are uncommon and are almost always related to oil spills. “The Charter has created scenario guidelines for these kinds of disasters, but we do not have a scenario guideline for missing aircraft,” explains Guo. After all, how do you ask for images of a disaster when you don’t know where the disaster is? That uncertainty was why it took four days after the disappearance for a Charter activation to be requested and accepted. When the first estimates as to the aircraft’s location were available, the Charter Members thought they might have a hope of quickly locating the missing craft. But the area of interest kept changing – and growing – as time went on.“Because of the quite large and indefinite area, the areas of interest were dif- ficult to define, especially when the search area was over the south Indian Ocean,” Guo says. Although some agencies continued to provide imagery through May 1 the activation was formally closed on March 25. As of the time of writing, the plane’s location remains undiscovered. So did something go wrong in this case or were there simply no clues to find? “To our knowledge, all has been done to the maximum extent possible,” says Jeanjean, but Secure World Foundation’s Brian Weeden isn’t so sure. In a panel discussion held May 8 on the role of satellites in aviation safety, Weeden pointed out that there is little-to-no public information about the ability of military satellites to detect aircraft like MH370. With governments loathe to reveal their capabilities, it could be in their interest to refrain from divulg- ing any details about what they can and cannot see. 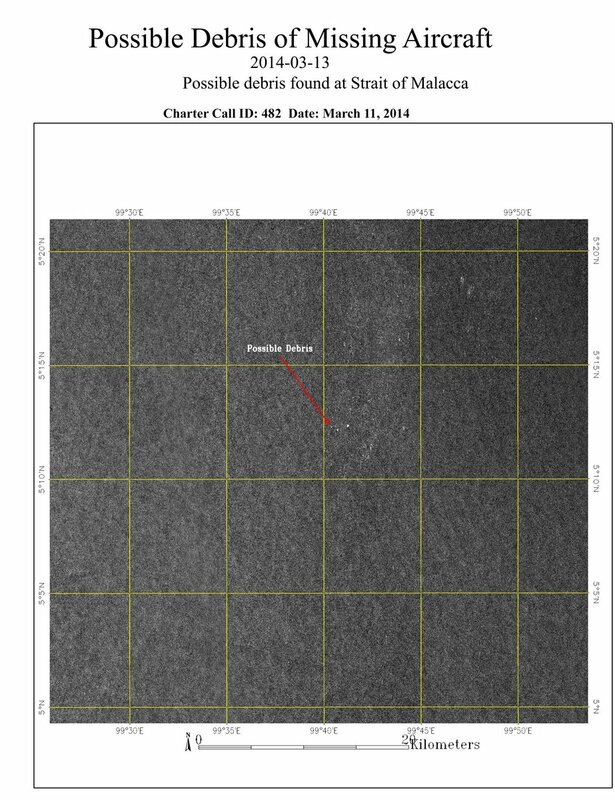 It seems unlikely that secret military satellite images exist that pinpoint the location of MH370. If there are, the Charter won’t tell us – it consists of Earth observation missions from the civilian world employing civilian, or at most dual-use, satellites. The International Charter Space and Major Disasters is not the only intergovernmental mechanism to call on space assets after a disaster. “In Europe, the Copernicus program is operating a service for managing emergency situations with the provision of damage-extent maps over areas affected by disasters,” says Jeanjean. Other initiatives using satellite-based Earth observation data include SERVIR in the US, Sentinel Asia, and the UN-Spider platform. We tend to think of satellites as the “eye in the sky” watching everything on Earth’s surface, but as the still-mysterious disappearance of MH370 demonstrates, satellites can’t, in fact, see it all. This article is reflects a little bit of what I’ve also written, here: http://news.clearancejobs.com/2014/03/16/satellites-find-malaysian-flight-mh370/. But because it’s been a while, I’ll probably mention your article with some commentary. Thank you for the follow up about MH370. Thanks, John – enjoyed your piece! Great details on the analysis methodology.